OK. I'm back. For real! I know, it's been sooo long since I properly blogged, but hey, I've been busy! ;-) Traveling, saying goodbye to Shanghai, spending time with family and friends in Belgium,... It takes time. And now, since about a month, we've officially moved to Amsterdam! I'll tell you all about my first impressions later, but now it's time for that travel update! Here's the first part: THAILAND (and I'll try to keep it short)! Chiang Mai was our first stop and I think it was my favourite one! Everything combined, the weather, the scenery, the things we did and of course THE FOOD, made our first week the best of the whole trip (at least for me). I'm not going to go in to much detail, but we did a lot of activities! And I have to say the cooking class at Zabb-E-Lee Cooking School was my absolute highlight of the whole trip! We went to the market, cooked 4! dishes at our personal cooking stations and I had the best meal of our entire trip! Ann, the owner of the school, is such an amazing person! She's funny, a very good teacher, super organised and efficient! I would love spending another morning in her class! 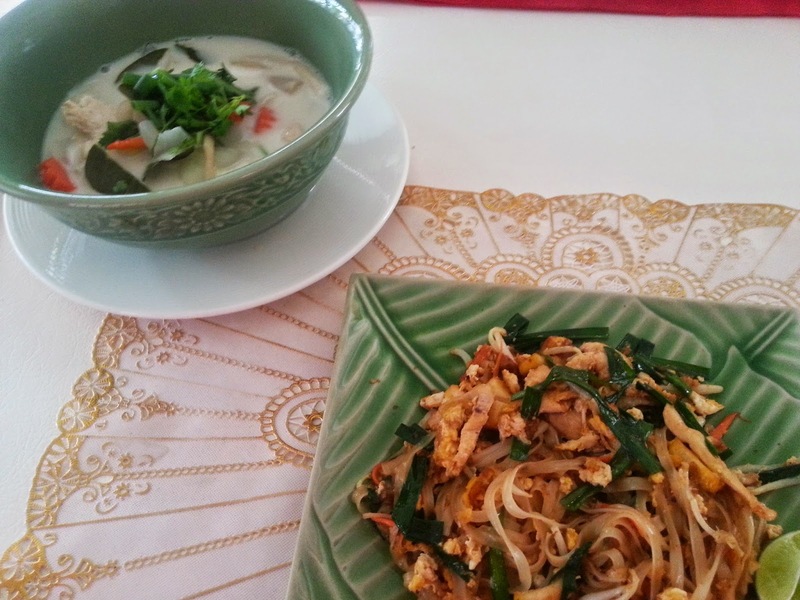 My beautiful Khow Soi - yummy! 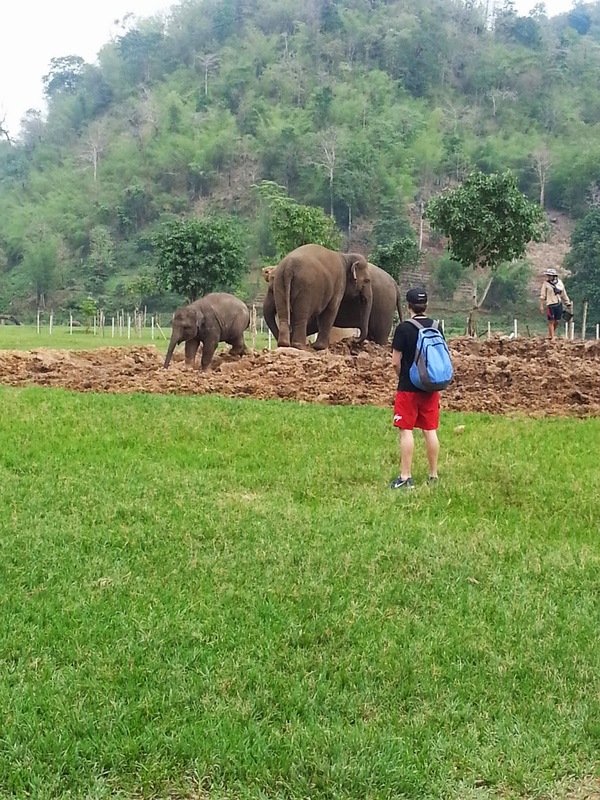 Another highlight was our trip to the Elephant Nature Park. On one of my favourite blogs, Rooftop Antics, I came across this article and I decided to visit the same park. At first I really wanted to ride an elephant, but after having heard stories about what these animals have to go trough, I decided otherwise. The organisation behind this park rescues elephants that are abused, sick or injured and gives them a new home. Here these amazing creatures can live together in peace and enjoy their space. 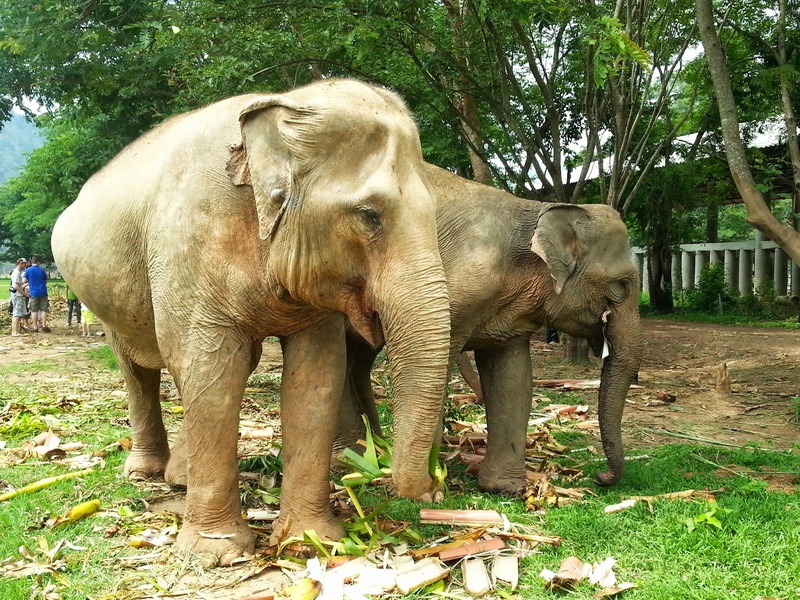 Visitors can watch, feed and 'wash' the elephants and enjoy the scenery. It was amazing! The rest of our trip was filled with walking around the city walls and visits to the temples. We spend an afternoon in the Nong Buak Hard Public Park and went to the famous Golden Temple, Wat Phra That Doi Suthep, on top of the hill. One night we went to the Muay Thai Thaephae Boxing Stadium to watch some Thai boxing, it was really cool! People who know me, also know that I love food. In particular Thai Food! It's just amazing! So as you can guess, apart from all the culture, our trip was filled with food, food, food! 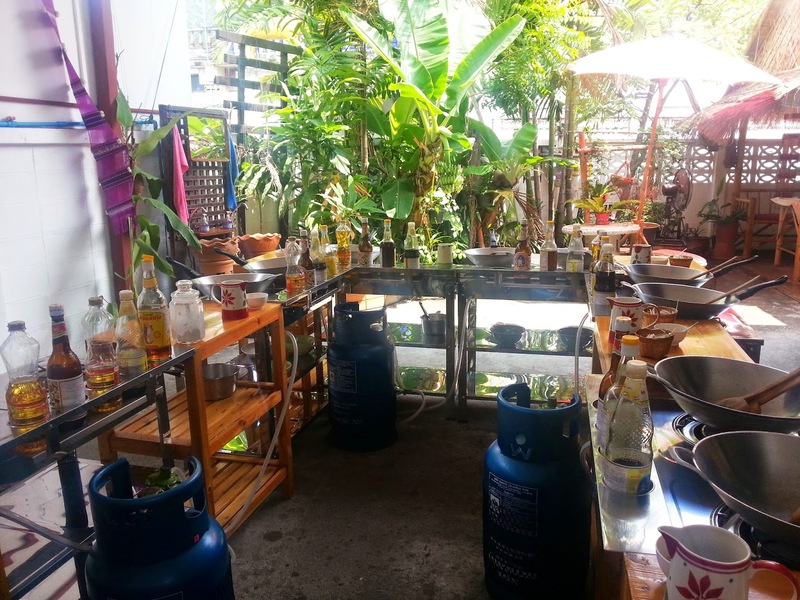 Definitely try out Cooking Love, a small restaurant with great food! Don't forget to make reservation, otherwise you won't get in before 9pm! 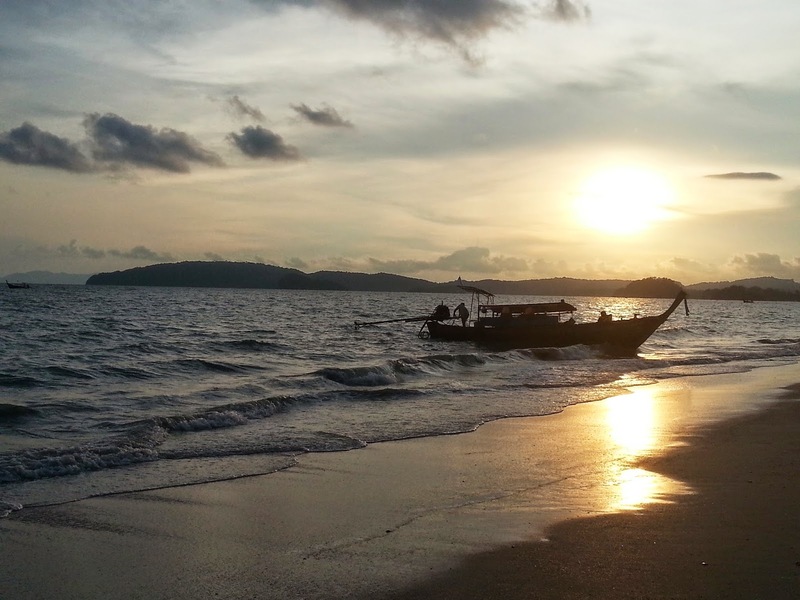 The next stop in Thailand was Ao Nang, Krabi and to be honest it wasn't that great. I guess we didn't do our research properly because it was full of tourists! I suggest if you fly to Krabi take a boat to one of the islands more south! We stayed at the Aree Tara Resort, which was very good for its price! We had some extra discount so it was quite cheap and we had a pool, a clean room and the location was good. The breakfast isn't great but there's enough available to eat around. It wasn't that bad in Ao Nang! We didn't do much except for eating amazing Thai food, walking on the beach, relaxing by the pool,... But 1 time we did a really fun activity! 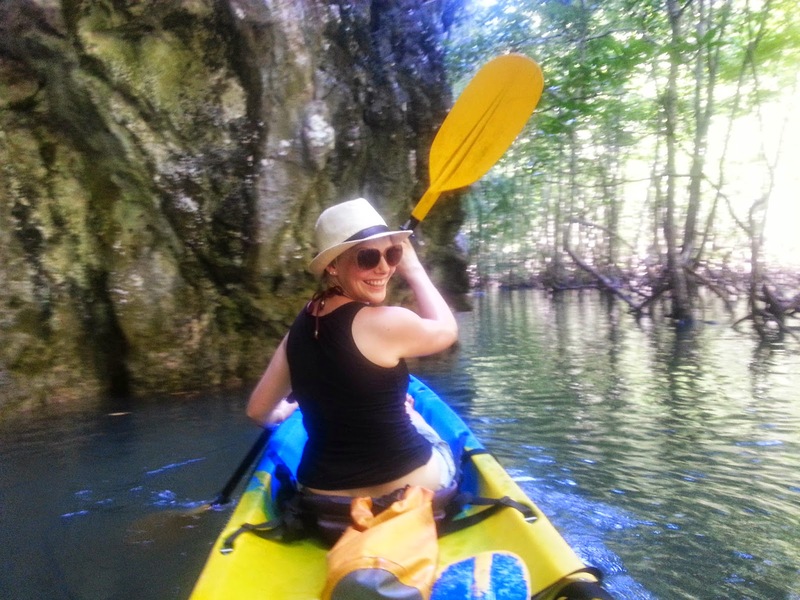 We went kayaking for a couple of hours and it was so much fun! We were picked up at the hotel and brought to Ao Thalan were they organised kayaks for everyone to go to a lagoon. It was really pretty and lots of fun! Two of the restaurant I remember were called E-San Seafood and Dean's Restaurant, the second one was really fantastic! Love Thai food! So, that was a bit of our Thailand trip, next up is Singapore! I hope you enjoy it!